If you get a group of nurses together, there is one topic they are all likely to agree on instantly — staffing. As the largest professional group in healthcare, they tend to be equated as the largest expense as well. With no formal billable services, nurses are often just seen as another business expense that needs to be mitigated in the delivery of patient care. Considering most of the tasks associated with nursing are not easily measured, their value is often misunderstood and undervalued by the business leaders who make the financial decisions in healthcare. A looming nursing shortage continues to be of concern for most healthcare facilities. Current estimates report a need of almost 2 million nurses by 2020. The concerns are heightened as healthcare groups continue to try to find new viable ways to stay financially sound in the wake of HCAHPS funding and the Affordable Care Act. However, what few institutions in America fail to realize is the answer is in their largest workforce — the nurses. Routinely, research has shown patients have better outcomes when the nursing staffing has fewer patients to manage. Better patient outcomes mean fewer complications, shorter lengths of stay and improved patient satisfaction — and ultimately improved financial stability for the institution. Not only is patient care improved, but it is also routinely recognized that nursing job satisfaction also increases, which leads to less burn out and staff turnover — again impacting the bottom line. In 2004, the state of California enacted revolutionary minimal staffing ratios for nurses. They recognized a need to improve the critical situation that had been created during the 1990s when staff was reduced to increase financial gain. California is still the only state that has mandated safe staffing ratios for acute care facilities. However, a grassroots movement, created by six staff nurses, is trying to change that nationally. In response to the growing movement inspired by Miss Colorado Kelly Johnson's monologue during the 2015 Miss America Pageant, a small group of nurses felt it was the time to act. No longer did they want to sit on the sidelines and allow the safety of their patients continue to be dictated by the bottom line of the institutions in which they worked. In the wake of swelling professional pride among nurses that followed, they recognized something unique had happened among nurses — they were finally united. And, more importantly, this unity needed to continue for the greater good of the patients they serve. From these humble and brave beginnings, the Rally for National Nurse-to-Patient Ratios was born. In an exclusive interview with one of the rally organizers, Pamela Barcomb, RN, described a desire to unite not just nurses, but all citizens in an effort to promote national patient safety legislation. "Everyone will eventually have some contact with the healthcare system and with a nurse," Barcomb said. "Whether it be yourself or a loved one, they deserve safe and effective nursing care." 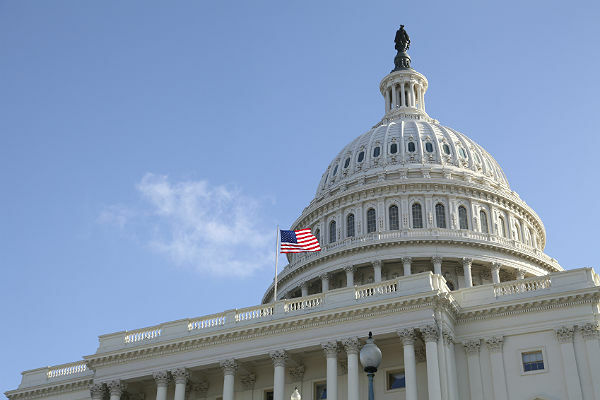 The Rally for National Nurse-to-Patient Ratios will take place May 12 — Florence Nightingale's birthday — in Washington, D.C., on the steps of the U.S. Capitol building. The rally will begin at 10:30 a.m. and continue throughout the day with speakers continually being added to the roster. "We hope to be the third piece that has been missing from the puzzle," Barcomb said. "We have the legislature making the laws and our professional organizations attempting to lobby. But what has been missing is the unity of the nurses and other healthcare workers drawing attention to this issue." As interest in the rally grew, three grassroots organizations — Nurses for National Patient Ratios, A Voice for Nurses Now, and Show Me Your Stethoscope (SMYS) — partnered to assist in mobilizing nurses around this single, important issue. They envision "uniting all nursing groups for one day, in one place, for one cause. The cause is patient safety, which is the embodiment of all that is nursing." The group also recognized that not all nurses could be in Washington, D.C., on May 12. However, through the evolving efforts of SMYS for Change, nurses is various states have begun making efforts to have local rallies at their state capitals to bring attention to this issue. Clearly, a movement is afoot, and nurses are beginning to tap into the power of their numbers. If you are interested in learning more about or attending this grassroots rally, you can find more information on their Facebook page. This is a vibrant group of passionate nurses who truly want to see effective change in nursing work environments and ultimately patient care and outcomes. They can also be found on Twitter @NursesTakeDC where their #NursesTakeDC was trending last weekend as word continues to spread. It is not often we are in the front row watching the evolution of a movement. Little did Miss Colorado know the impact she would have or the sleeping giant she would awaken. However, what has become clear is the way of caring for patients needs to change. "Gone is the old, 20th-century business model of lean and mean labor cuts," Barcomb said. "If healthcare institutions want to survive in the 21st century, they will need to realize the value the nurse plays in their financial success."